1) Intelligence agencies are fragmented and in competition. 2) Creating and sustaining a strategy of tension between the US and Russia JUSTIFIES the continued military-industrial complex buildup in Central Asia. We conclude, therefore, that tension with Russia is GOOD for business. Then again, you don't want *too much* tension, that would be BAD for politics. People expect their leaders to work for peace and solve problems. 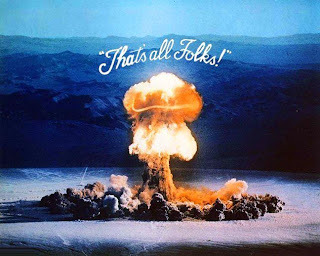 After All. So the tension should be just at the right level. Not too hot, not too cold. "This is our life, this constant cycle of stress and relief. Mounting Russian concerns that Islamist militancy and cheap drugs emanating from Afghanistan are a threat to its national security [TRUE!] have made Moscow refocus on the region even as the U.S. and its NATO allies maneuver to draw down. So not really exactly "drawing down" then. More like "ramping up".... AIR BASES! More airplanes. In and out they go. As we all know because it's perfectly obvious, airplanes are really great for transporting things. What is going *in* on the airplanes? Supplies for our troops, presumably. Everything must be brought in because there is no economy to speak of in Afghanistan, since it has been destroyed by decades of war. And what is coming *out* on all these airplanes? Perhaps the only thing that the Afghan economy does produce? "government failure in the opium trade"
Massive quantities of heroin ARE being moved around the planet, to the benefit of organized crime and to the detriment of human beings addicted to drugs. That is a fact. With a July 2011 deadline looming for troops to begin their withdrawal, the Obama Administration has been angling for regional partners to step in and shoulder a greater share of the burden. And the Obama Administration is angling for some partners. And they found some in Russia. 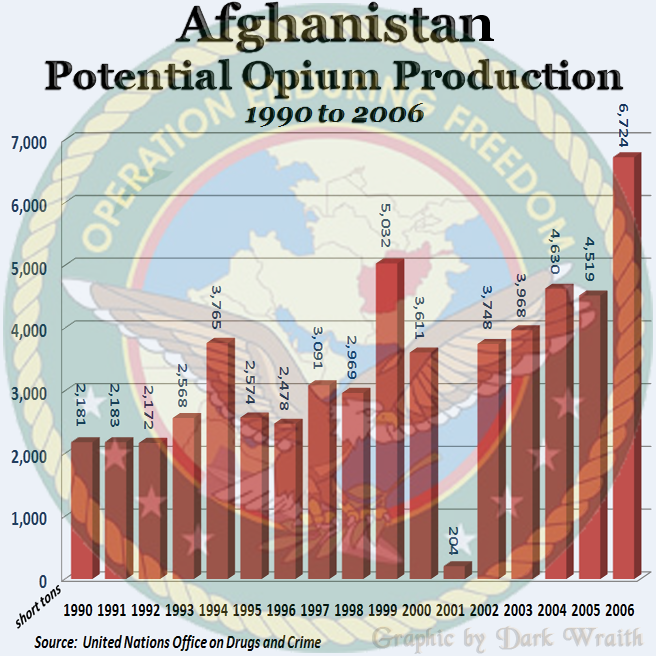 Over the past year, a series of contact groups from the U.S. and Russia have ramped up intelligence-sharing to combat the flow of narcotics from Afghanistan, [wink wink wink!] the source of about 90% of the world’s heroin. In a June 9 op-ed in the Moscow newspaper Izvestia, Richard Holbrooke, the U.S. special envoy to Afghanistan, highlighted Russian contributions at length, hailing them as a major step forward in bilateral relations. But while Russia’s intelligence assets in ex-Soviet republics may have a modest impact on combating the trade, myriad other transit routes through Iran and Pakistan will complicate the efforts to curtail the supply line. for helping us "combat" the flow of narcotics from Afghanistan. But what about our leaders? What about Obama? This is an interesting interview. I believe with Obama there is nobody home. He is a ghost. He doesn’t do anything. He is a Manshurian Candidate, he is a robot, he is nothing. He has done nothing, he is doing nothing, he will never do anything. Obama is just waiting to get a job at Goldman Sachs or JP Morgan in three or four years time and that’s it. The White House is a way to improve his resume. The BP oil spill revealed that America is running with no leadership at all. There is nobody at the helm of the ship. It’s running wild with no leadership whatsoever. Well we might quibble with that a bit. It's not that Obama does *nothing* exactly, it's that Obama does what he's told. That's why he has czars and minders. ...The Adriatic Riviera in the north, the elite Emerald Coast in Sardinia and the Amalfitan villages of Positano and Sorrento have transformed into settlements of Russian oligarchs who spend months in fashionable hotels, rent summer villas for 100,000 euros per month and are willing to disburse some 20 million euros to buy beach apartments. ...Among them is Rustam Tariko (also known as the Vodka King), Alisher Usmanov (a metal magnate and manager of Gazprom, the Russian oil giant), Vasili Anisimov (a gold producer who bought his mansion from Berlusconi’s wife, Veronica Lario) and Ildar Karimov (a television tycoon). Owning a property in one of Sardinia’s top locations is a status-symbol for Russia’s jet-set society. Another upcoming Russian destination in Italy is Alberobello, in the Apulia region. 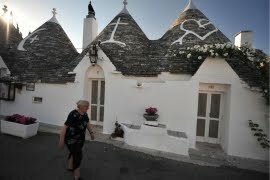 Here, real estate investors from Moscow and St. Petersburg are spending millions of euros to buy old farms and prehistoric white, cone-shaped stone village houses called "Trulli," despite them being listed as UNESCO heritage sites. Buying UNESCO sites for your vacation cottage....Priceless. And why would Putin let his daughters anywhere Berlusconi? In any case, it is important not to conflate all Russians with the Russian Mafia. VIENNA — After avoiding any use of the term “Russian mafia” in the last few years, law enforcement personnel in Europe and elsewhere are now speaking about it again, noting that it includes “up to 300,000 people” and dominates the criminal world in many countries around the world, according to a Moscow investigative journalist. In Monday's Versiya, Ruslan Gorevoy says law enforcement personnel in many countries — including Spain, Greece, Hungary, Italy, France, Mexico “and even the United States” — have been surprised by how “confidently” criminal groups consisting of people from the former Soviet Union now dominate their national criminal worlds. Note that Interpol doesn't bother to keep appropriate statistics. How convenient is that? ...Interpol, the international police agency, does not maintain the kind of files that allow for an even approximate assessment of the number of Russian criminals operating abroad. But last year, the National Prosecutor of Italy concluded that there are “up to 300,000” criminals from Russia operating in other countries. One of the largest or at least most profitable activities of Russian criminals abroad, the Italians said, is money laundering, with the Russian mafia “laundering” funds in the United States, Marianas and Guam. In addition, they added, Russian criminals are charging Mexican drug lords 30 percent for laundering drug profits from sales in the United States. ...The Munich paper’s Rudolph Himelli said that “Russian mafiosi are better organized and permit themselves to commit the boldest crimes, remaining in practice unpunished,” crimes that are “of a completely different order of magnitude than those committed by Turkish immigrants or criminals from countries in Eastern Europe,” including illegal arms sales to Libya and Iraq. Vladimir Zhirinovsky, the flamboyant head of the Liberal Democratic Party of Russia and vice speaker of the Duma, says that none of this information justifies any suggestion that there is a Russian mafia operating abroad let alone implying that Moscow is somehow responsible for it. Well that was a little rambley. I guess that's what happens when everything starts to come together. IF YOU WANTED TO, you could get up in the morning and look around the web and find out the most disturbing things. Anyone can do it, but most people don't want to. And if you do it for them, they don't want to believe you. The sources will never be good enough. Better to watch teevee and wait for them to tell us when it's all over. Social engineers say: Good plan. That last paragraph is very true. I tried to post and it disappeared, said I don't won that name. The games never end do they? I do own this name. Sometimes I don't know what to make of Russia myself . I honestly don't. 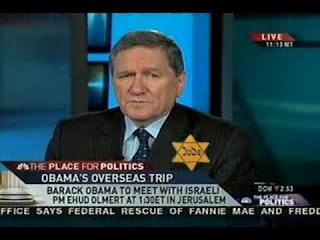 I do know there really is not a Russian mafia, there is a Jewish mafia. Many of them have been imprisoned also and many have fled to England. Why Putin would have his daughters vacationing at Berli's place is little strange. I do know that he has lobbied Putin to run a gas pipeline through Russia. It could be as simple as that. I really don't know however. Zhirinovsky is himself a Jew but sometimes tries to sound almost like a nazi nationalist type. I would have to go back and check also but I think I saw the Russian gold mines have been nationalized and are in state hands now. Hi A.P. I don’t know if you hear it much but you do post some stunning work here. DM is spot on – the Russian mafia is just like the US mafia used to be- jewish. I had high hopes for Putin but yet again we watch the world stage as if it’s a Punch and Judy show. If there are 300,000 where is their headquarters – alternatively, what country would they bolt to if they got some heat? Did the interplay between characters and factions seem like this is 1914 and in 1939? What I hear is the monotonous chimes of an old grandfather clock – tick tock. I feel that we are keeping time on a play composed long ago. We, mere humans, must somehow become spanners. We must slow or stop that ticking by gumming up the works. How do we do this? We won’t know until the stakes are their highest. When the dollar disappears, then we’ll know. Hey, it's a mafiocracy planet! And the winner is...da jjjjj...ugh, can't bring myself to say it. Awesome research, AP, once again. Czar list should be spread far and wide. 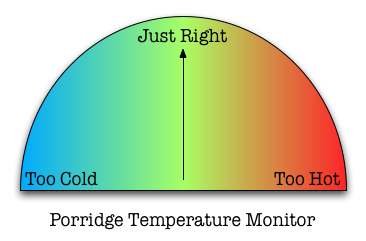 Love the porridge meter. Ok, I'm all stocked up on doritos, jerky, and coors; 7000 channels to chose from. Page me when it's 'all clear'. thanks you guys. i appreciate that you read and mordantly chuckle with me. it's just so surreal and i don't know what compels me to keep looking but i can't look away and would like to record this craziness for posterity if there is such a thing. dubs - don't know about the gold mines. chuck - you know it, you know where they go when the heat comes on and it's cool as a meat locker there. great link, i read it yesterday and shared it today. i have reason to believe this will be the thing that happens next: currency collapse. also thinking: soon. and yes we are the bananas in teh tailpipes haha. God willing. 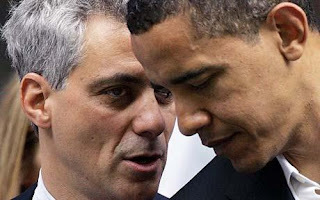 bho - Ok, I'm all stocked up on doritos, jerky, and coors; 7000 channels to chose from. Page me when it's 'all clear'. yes that whole link with the czar list is really thorough. check it out. respects to all of you. The deal in russia now seems to be the state buys a huge proportion of critical natural resources from the oligarchs and it is kind of a you do good the state does good, you screw up the state takes it all. BP still holds a large oil field there but they own 49 percent and the state owns 51 percent. I doubt they would tell the Russian EPA to screw off if they were contaminating the country with corexit. They don't buy politicians there either, they are told you will be fine as long as you stay out of politics. Some international media sources were taken over to emphasize this point and yeah they cry wolf about freedom and democracy and the ability to loot. Pravda.ru and Ria maintain their party line and the Moscow Times rocks on. Thanks for the info on Putin.